Melanoma is an aggressive neoplasm with a very high propensity for metastases and a poor prognosis. Cardiac metastases can be seen post mortem in 50% of patients with melanoma, although they are rarely diagnosed ante mortem due to lack of symptoms. Melanomas may rarely present as cardiac metastases in the absence of the primary lesion and are described as melanoma of unknown primary origin. Surgical resection of cardiac metastasis has not been shown to influence long term survival in melanoma patients, although it can relieve cardiac symptoms and prevent further comorbidities. A patient with metastatic malignant melanoma of unknown primary origin is presented as an incidental cardiac mass that underwent surgical resection of the cardiac metastasis. A 54 year old asymptomatic Caucasian male with a history of rheumatoid arthritis underwent a screening Transthoracic Echocardiogram (TTE) at a local health fair. At the health fair, he was told about a concerning finding seen on the TTE and instructed to follow-up with his primary care physician. Subsequently he underwent a repeat TTE which showed a large mass in the right atrium measuring at least 7.4 cm x 4.5 cm that was protruding through the tricuspid valve into the right ventricle (Figures 1-3; videos 1-3). Left ventricular systolic function was mildly reduced with an ejection fraction of 40%. 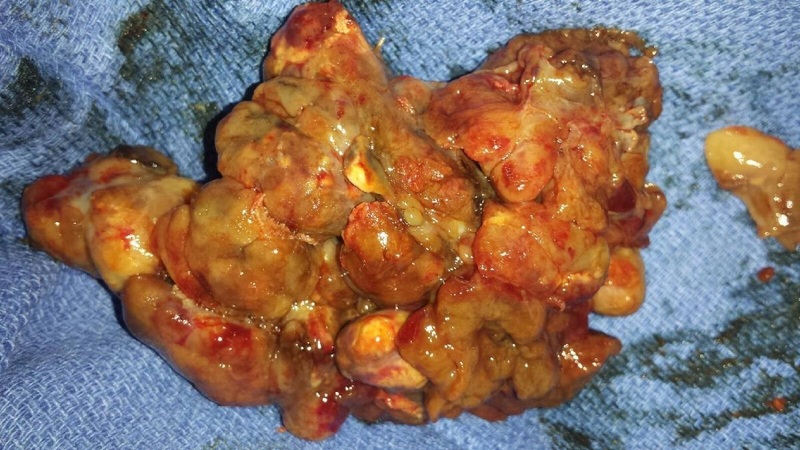 The TTE also showed the incidental finding of a large liver mass at least 6 cm in diameter. Subsequently, he was admitted to our institution for further workup of the cardiac mass. He underwent cardiac and abdominal Magnetic Resonance Imaging studies (MRI). The cardiac MRI showed a large lobulated right atrial mass measuring approximately 5.4 cm x 5.3 cm with heterogeneous post-contrast enhancement with a concern for possible invasion of the tricuspid valve (Figure 4). The mass also appeared to extend through the right atrial wall into the pericardium. Abdominal MRI showed multiple liver masses without evidence of invasion of the inferior vena cava, with the largest liver mass measuring 6.5 cm x 6.0 cm. An ultrasound guided liver biopsy showed malignant cells, which were positive for pan melanoma cocktail and S100 and suggestive of malignant melanoma. One month later the patient returned to the hospital with progressively worsening exertional dyspnea and bilateral lower extremity edema. Surgical resection of the cardiac mass was recommended for symptom palliation. A Positron Emission Tomography (PET) scan showed hypermetabolic masses within the right atrium and liver without other organ involvement including the lungs. The patient also underwent a presurgical cardiac catheterization during this admission (Figure 5). His right coronary arteriogram showed the right atrial tumor to be perfused by branches of the right coronary artery with an intense tumor blush. 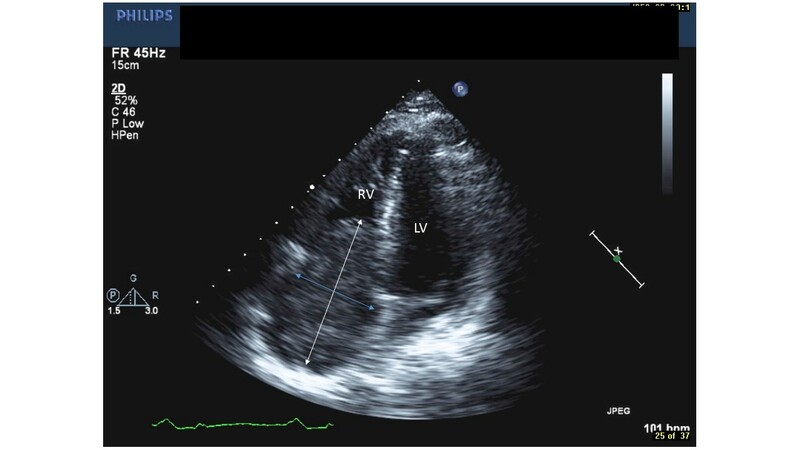 Figure 1: Transthoracic echocardiographic findings in the parasternal long axis view showing the cardiac mass in the right atrium crossing the tricuspid valve into the right ventricle (Video 1). 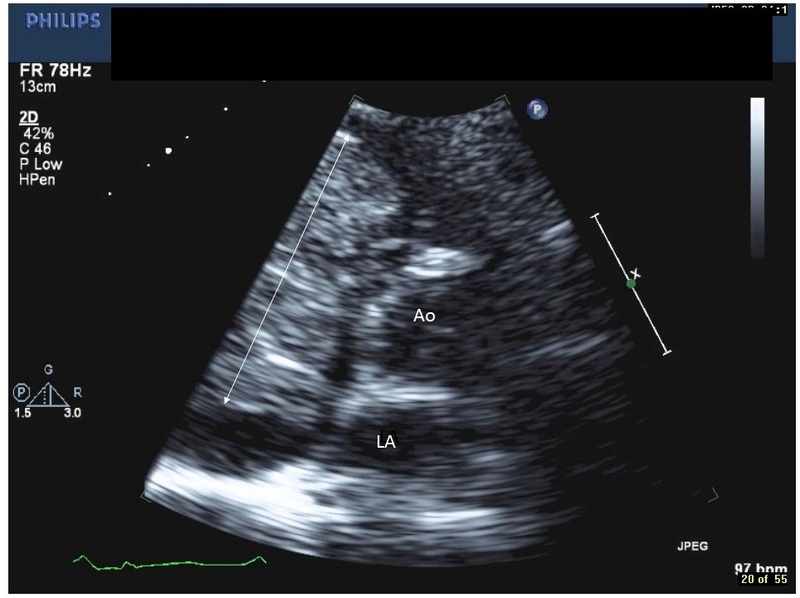 Figure 2: Transthoracic echocardiographic findings in the parasternal short axis view at the level of the aortic valve showing the cardiac mass occupying most of the right atrium crossing the tricuspid valve into the right ventricle (Video 2). 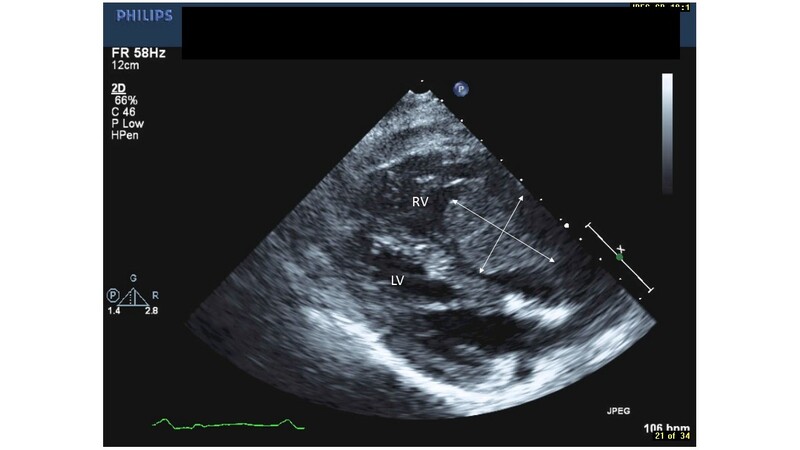 Figure 3: Transthoracic echocardiographic findings in the apical four-chamber view showing the cardiac mass occupying the right atrium and crossing the tricuspid valve in to the right ventricle (Video 3). Figure 4: Cardiac MRI showing the cardiac mass occupying most of the right atrium and crossing the tricuspid valve. Figure 5: Right coronary arteriogram outlining the right coronary artery in the right hemi-axial view showing the tumor blush and branches of the artery perfusing the cardiac mass (Video 4). Subsequently, the patient underwent open heart surgery under cardiopulmonary bypass. The right atrial mass was excised, with radical resection and reconstruction of the right atrial wall with a pericardial patch. 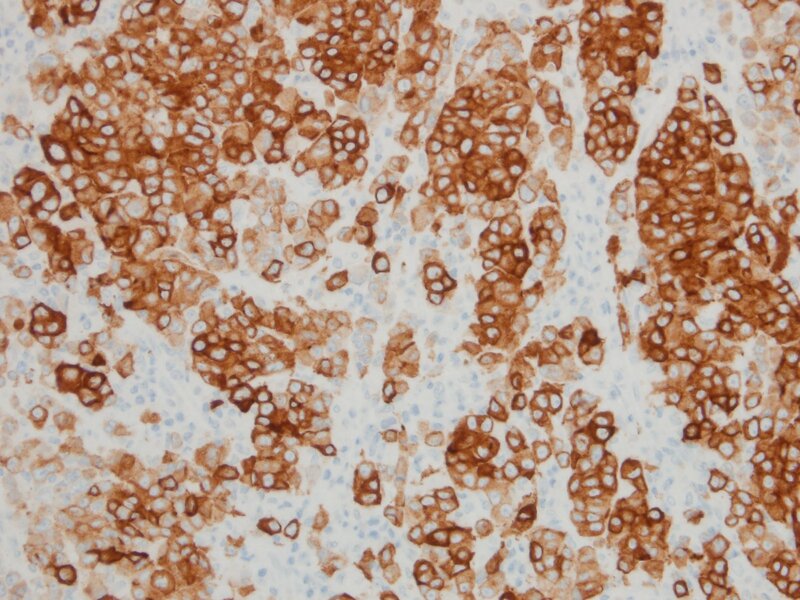 Pathologic examination of the excised mass revealed a 9.0 cm x 6.6 cm x 5.0 cm tumor of tan-brown tissue that had multiple areas of brown-black hyperpigmentation (Figure 6). Additionally, there were multiple nodular accumulations of necrosis which measured up to 1.5 cm in dimension. The mass was soft with a slightly gelatinous consistency. Subsequent, histopathologic examination confirmed the presence of a melanoma.The patient’s postoperative course was uneventful and he was discharged in a stable condition. He was subsequently commenced on ipilimumab chemotherapy and he was asymptomatic and had returned to full time work at his four month postoperative visit. Figure 6: Surgical specimen after removal of the cardiac mass. The prevalence of malignant melanoma in the USA is approximately 0.0015% of the population, 17 per cent of whom will die due to the tumor. It has a high propensity for metastasis and is spread via the blood stream and by lymph channels. Melanomas may also metastasize to the lungs, liver, bone and brain. Ten per cent of malignant tumors metastasize to the heart; of those tumors with cardiac metastases, 70 per cent are malignant melanoma. While any of the cardiac chambers can be involved with tumor metastases, the right atrium is the most frequently involved chamber. Cardiac metastases usually involve the myocardium and the pericardium, although the endocardium is rarely involved. The signs and symptoms of cardiac metasta sis are often nonspecific or masked by symptoms of other organ involvement. When present, the signs and symptoms include fatigue, weakness, cardiac dysrhythmias, congestive heart failure, pericardial effusion, superior vena caval syndrome, right ventricular inflow and outflow tract obstruction, and cerebral transient ischemic episodes. Accurate clinical imaging is critical in differentiating various cardiac masses. Transthoracic Echocardiography (TTE) is used extensively for the imaging of cardiac masses due to easy availability and high sensitivity. Transesophageal Echocardiography (TEE) is superior to TTE in circumstances such as obesity or chronic bstructive pulmonary disease where visualization of the cardiac chambers by TTE may be difficult[7,8]. Gated cardiac Magnetic Resonance Imaging (MRI) has been shown to be the ideal modality for the precise imaging of cardiac masses. It is superior to TEE for the assessment of the site of mural attachment as well as clearly and consistently demonstrating mediastinal extension[9,10]. Malignant melanoma characteristically produces a hyperintense signal on T1 weighted MRI images, in contrast to low signal intensity produced by other tumors. Cardiac Computed Tomography (CT) may also be used for imaging cardiac masses although its use is limited by motion artifacts, producing poor image quality. PET scan imaging may be used to detect occult or distant metastases associated with a malignant melanoma. A percutaneous or open surgical biopsy of a cardiac mass or other involved organs can help to confirm the histological diagnosis of melanoma. The medical management of patients with metastatic melanoma incorporates palliation of symptoms in addition to systemic chemotherapy. However, currently there is no standard approach to the treatment of cardiac metastases associated with malignant melanoma. No collective experience has currently been shown to improve long term survival following the surgical resection of an isolated cardiac melanoma. Nevertheless, the resection of an isolated cardiac melanoma tumor may be an effective palliative measure in selected patients and may enhance the effectiveness of adjuvant therapies. The anatomic location and extent of invasion of the melanoma determines the feasibility of surgical resection. The complete resection of an intracardiac melanoma may prevent comorbidities associated with progressive intracardiac growth,including right ventricular outflow or inflow tract obstruction, pulmonary or systemic embolization, cardiac tamponade and progressive heart failure[14,15]. Resection of the tumor may also improve quality of life in certain patients, as is the case in this patient. In conclusion, metastatic cardiac melanoma is rarely diagnosed antemortem particularly in asymptomatic patients and those without a known primary tumor. A multimodality imaging approach is essential to obtain an accurate diagnosis as well as to plan appropriately for surgical resection. Surgical resection of a cardiac metastasis can provide symptomatic relief and minimize any potential cardiac sequelae. 1. Glancy, D.L., Roberts, W.C. The heart in malignant melanoma. A study of 70 autopsy cases. (1968) Am J Cardiol 21(4): 555-571. 2. Robert, W.C. Primary and secondary neoplasms of the heart. (1997) Am J Cardiol 80(5): 671-682. 3. Lee, E.Y., Choi, J.O., Park, H.N., et al. Malignant melanoma of unknown primary origin presenting as cardiac metastasis. (2012) Korean Circ J 42(4): 278-280. 4. Onan, B., Onan, I.S., Polat, B. Surgical resection of solitary metastasis of malignant melanoma to the right atrium. (2010) Tex Heart Inst J 37(5): 598-601. 5. Malouf, J.F., Thompson, R.C., Maples, W.J., et al. Diagnosis of right atrial metastatic melanoma by transesophageal echocardiographic- guided transvenous biopsy. (1996) Mayo Clin Proc 71(12): 1167-1170. 6. Gibbs, P., Cebon, J.S., Calafiore, P., et al. Cardiac metastases from malignant melanoma. (1999) Cancer 85(1): 78-84. 7. Qu, G., Kaur, J.S., Seward, J.B. Metastatic melanoma presenting as cardiac mass and hemobilia. (2003) Am J Med Sci 325(3): 157-159. 8. Lynch, M., Clements, S.D., Shanewise, J.S., et al. Right sided cardiac tumours detected by transesophageal echocardiography and its usefulness in differentiating the benign from the malignant ones. (1997) Am J Cardiol 79(6): 781-784. 9. Obeid, A.I., Mudamgha, A.A., Smulyan, H. Diagnosis of right atrial mass lesions by transesophageal and transthoracic echocardiography. (1993) Chest 103(5): 1447-1451. 10. Fujita, N., Caputo, G.R., Higgins, C.B. Diagnosis and characterization of intracardiac masses by magnetic resonance imaging. (1994) Am J Card Imaging 8(1): 69-80. 11. Freedberg, R.S., Kronzon, I., Rumancik, W.M., et al. The contribution of magnetic resonance imaging to the evaluation of intracardiac tumors diagnosed by echocardiography. (1988) Circulation 77(1): 96-103. 12. 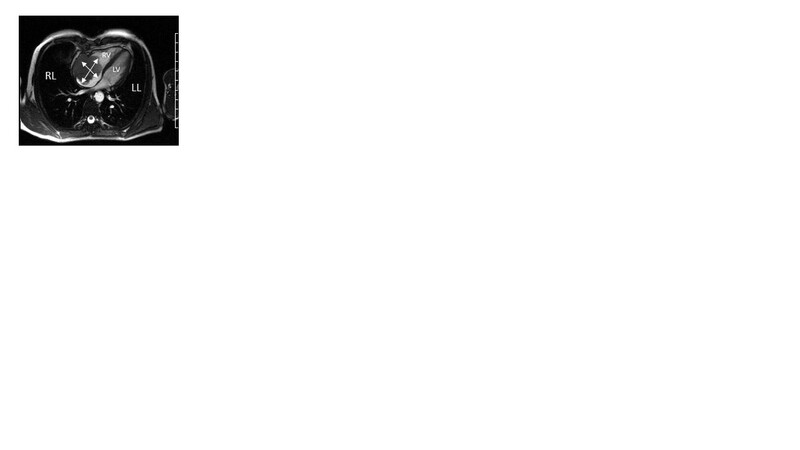 Premkumar, A., Marincola, F., Taubenberger, J., et al. Metastatic melanoma: correlation of MRI characteristics and histopathology. (1996) J Magn Reson Imaging 6(1): 190-194. 13. Godwin, J.D., Axel, L., Adams, J.R., et al. (1981) Computed tomography: a new method for diagnosing tumor of the heart. Circulation 63(2): 448-451. 14. Friedman, K.P., Wahl, R.L. Clinical use of positron emission tomography in the management of cutaneous melanoma. (2004) Semin Nucl Med 34(4): 242-253. 15. Basarici, I., Demir, I., Yilmaz, H., et al. Obstructive metastatic malignant melanoma of the heart: imminent pulmonary arterial occlusion caused by right ventricular metastasis with unknown origin of the primary tumor. (2006) Heart Lung 35(5): 351-354.